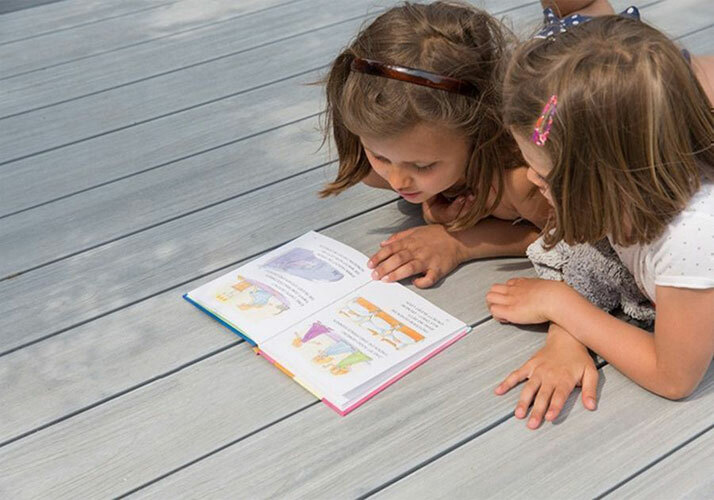 As a new outdoor flooring material, wood flooring is a new type of environmentally friendly wood-plastic composite products. For home garden, landscape, villas and other outdoor platforms. Fairly broad range, more and more people began to abandon the wood material, the material is converted into wood. Choose easy to install wpc flooring is a good choice. 1, before installation, make sure the entire floor flatness. 2, leaving a gap on both sides of the keel, to facilitate drainage, it is no longer a straight line. 3, adjusted according to the environment, instead of wood keel steel, galvanized steel, welded link the site to remove the slag backseat rust treatment. 4. The size of the floor mosaic gap, according to wood floor installation when environmental temperature and humidity, floor length, floor moisture content, as well as the specific circumstances of the laying of the area reasonably determined. 1. waterproof, moisture-proof. It changed the traditional wood products can no longer be certain fields of application. 3. Installation is simple, convenient construction, does not require complicated construction process, saving installation time and costs. 4. No expansion, deformation, no maintenance and maintenance, easy to clean, repair and maintenance costs savings late. Of course, choose a high-quality, easy to install wpc flooring for your family. So you have more time to enjoy the outdoors times, this is a wonderful thing.